An all-mail bond election for Boone Central voters will mark the first time Boone County has held an all-mail election, an option that is provided under state law. Voters will have a voting period of about 19 days. Ballots will be mailed out April 23 from the Boone County Clerk’s office, and registered voters will have until 5 p.m. on May 12, 2015, the designated election date, to return their ballots in time to be counted in the special election. 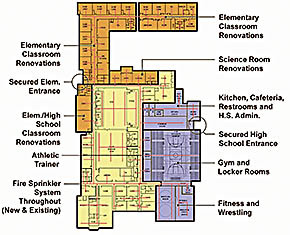 A $12.99 million bond issue is proposed, including both an addition and renovation. Details in the April 1 Albion News and Petersburg Press Print and E-Editions.